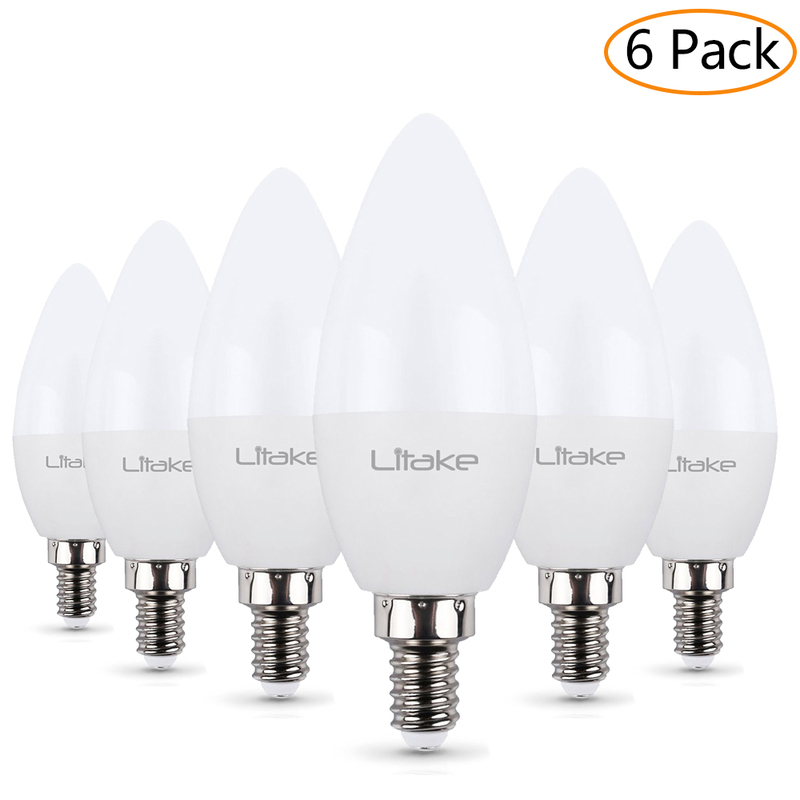 Successfully Added 6 Packed E12 Base LED Light Bulb, Candelabra Light Bulbs Non-dimmable Daylight White 5000K to your Shopping Cart. High Efficiency Bulbs: One 6W LITAKE bulb is equal to a 60W normal incandescent bulb, which means 90% electricity bill would be saved. Non-dimmable Bright: The Daylight White bulb(5000K) bulb is non dimmable; With the same size as traditional E12 bulbs and a neat design, offering you soft lighting experience. Easy Installation: With standard candle shape E12 screw base, LITAKE bulbs will fit the lamp holders well and be installed in seconds. The bulbs with low light decay are CE, FCC and RoHS certificated, no mercury and UV/IR light included, safe and environment friendly.